This is the most desired unit in Cape Harbour, Marina South. This 15th floor Penthouse is the only unit that has Southern and Eastern views plus it is largest floor plan and on the top floor. 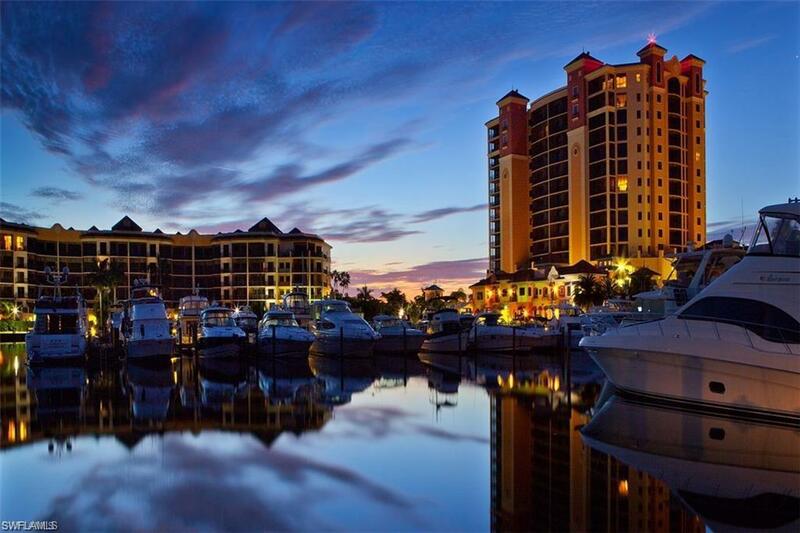 You will be captivated by the views overlooking the river, Fort Myers, Pine Island and Sanibel. This unit is one of kind and has extensive upgrades not found in most units. The unit has a rare oversized great room with 18â tile diagonal and an additional room for extra storage or small home office. Custom granite installed in the kitchen, not the normal builder grade. Kitchen has the upgraded cabinet hutch. Unit comes with two assigned parking spaces. Furnishings optional. Enjoy walking to shops, Rumrunners, Fathoms, French Connection restaurants. Amenities include Marina, boat storage, tennis, fitness center and two pools.